If you’ve ever met anyone who plays disc golf in the Midwest, you know that they will play in nearly any weather. Rain or shine, feet of snow or dry as a bone, players in the area will gear up and hit the course no matter what. 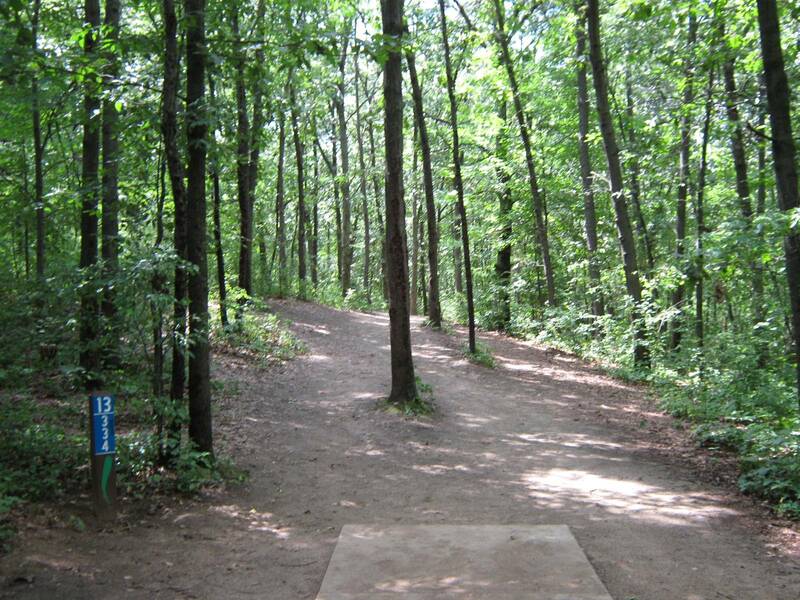 Those fortunate enough to live in or near Milford, Michigan have the pleasure of playing at Kensington Metropark, one of the courses used in the Great Lakes Open Presented by Discraft. Established in 1996, it’s been a part of this epic tournament for decades, with the Great Lakes Open itself dating back to the early 1980’s. While the tournament has taken place at various courses throughout the years, locals hold a special place in their hearts for the Kensington Metropark. Let’s take a peek at this beautiful course and give competitors a look inside this upcoming DGPT stop! One thing is clear when looking at the course layout at the Kensington Metropark – you’d better bring your technical A game. Now at a whopping 24 holes, players will find themselves weaving their way through wooded areas and enjoying the times where open fairways allow them to put some power behind their drives. Not only will your skill set be put to the test, but as the course is moderately hilly you’ll get a good workout in over the 8,018 feet of land. Perhaps the only reprieve throughout this demanding course is the fact that holes are not exceptionally long – roughly 550’ is the longest set-up you’ll have to endure, going even farther to prove the point that this course is about technical skill rather than power and distance. Thankfully, multiple tee boxes are an option at Kensington Metropark, offering players of varying skill levels the opportunity to enjoy the course. Pack a picnic lunch and enjoy the scenery after your round, and don’t forget to have some cash on you. This course is a pay to play layout with a $10 per vehicle day use fee. The course at Kensington Metropark is kept in great condition with concrete tee pads and Chainstar baskets, and the beauty you’ll find on each hole is totally breathtaking. With the course hosting one of the Disc Golf Pro Tour stops this season with the Great Lakes Open, we’re sure the property will be looking better than ever! Part of the appeal of the Metropark is that it includes so much more than disc golf! A large lake offers boating, swimming, and fishing, or you can enjoy hiking trails and time at the Splash ‘n’ Blast water park. Over 2.5 million people visit the complex each year, which naturally exposes the local population to disc golf and spreads the word about our awesome sport! With nearly 170 players already registered for this A-tier, the Kensington Metropark in Milford, Michigan will be a course to remember for years to come. Have you played this amazing layout before? Share with us your thoughts about this property in the comments below! As of the end of June 2018, There is now a total of 36 permanent holes, being called the North and South course. The South course uses some of the original 19-27 holes, replacing a few and altering one or two of the others while adding more holes in.